 Experience the stunning natural environment of Vintage Oaks, including towering trees and winding roads, while you investigate why it is Comal County’s fastest-growing community. Walk the land and discover just how spacious, well-located, and alluring the Vintage Oaks homesites are. Arrive at the Clubhouse, and soak in the Tuscan-style charm and grandeur of the exceptional pool, lazy river, outdoor kitchen, and gracious meeting areas. And, when you’re done, meander just across the road to visit the Dry Comal Creek Winery. It is sure to be an experience you won’t soon forget! Experience the beauty of the Texas Hill Country in person - Bring your camera in case you want to take pictures! To schedule your private tour today, simply fill out the form.